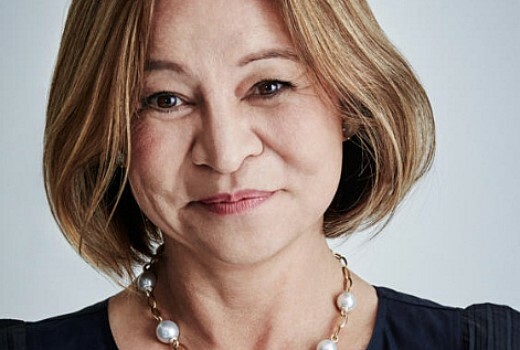 Ousted ABC managing director Michelle Guthrie has released a statement citing “no justification” for the ABC Board to terminate her, and is considering legal action. “I am devastated by the Board’s decision to terminate my employment despite no claim of wrongdoing on my part,” she said. She says the ABC Board did not raise issues with her. Never ever I have known a board to give a reason why they sacked people! Michelle Gutherie’s appointemement was a dumb one from the get go. A person with no real broadcasting experience in Australia it was soon evident that she was way out of her depth. With no profile and no prescensce ,two qualities necessary in the leadership of the organisation that consists of many Intelligent, clever, but ego driven people it really is no wonder she didn’t last. It’s all very well to talk about the “digital landscape “ but content is what it’s all about. Netflix has definitely proved that. Combined with a news room that’s really not performing and journos like Andrew Probyn and his crazy stories it’s no wonder the plugged was pulled. The ABC is a great organisation and a strong leader is very important. BTW Mark Days piece in the OZ this morning was spot on. Seriously ..no real broadcasting experience?. This woman has achieved significant broadcasting experience. She ran Star TV for 7 years, She was at BSKYB for 4 years, She also was at Foxtel. She may not have started as a program maker or journalist but she has achieved incredible success and on a stage that is much larger than Australia. I am appalled at a board sacking someone without any real explanation. This is “Our ABC” we deserve to know why this woman was sacked. Mark Scott had no broadcasting experience when he became head of the ABC. He worked as a political advisor and then in management roles at Fairfax. So ABC iView getting 21 million plus hits a month is it not working in the digital landscape, could have fooled me. Was appointed as Director Entertainment & Specialist in February 2018, expanding his previous role as Director Television (taking over from Richard Finlayson who had been there from 2013) to be responsible for all ABC radio music networks (triple j, Double j, Classic FM, Country and Jazz) podcasts and specialist radio content (Radio National) as well as broadcast television networks (ABCTV, ABC Kids, ABC Comedy, ABC ME). This also includes all on-demand products and services (iview, ABC Listen, ABC Kids Listen, ABC Kids), and the relevant network web and apps.